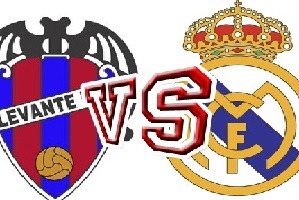 Levante will face Real Madrid in Primera Division on Wednesday. Both teams are coming to this match with losses. Levante lost 3-0 away to Villarreal. They are currently last in the league with a big chance of relegation. Winning just 20 points from 26 games played till now. On the other hand Real lost the Madrid derby and now they are 12 points behind Barcelona. With no chance to win the League their focus will be in the CL and not loosing the 3rd place. It means that they have to win games like this one in order to keep Villarreal behind them. Real won the last eight games played between them and I think this will be their ninth victory.